Your event will be a unique reflection of who you are. We will work one-on-one with you to plan the best reception ever! Here is a list of frequently asked questions. Feel free to drop us a line at NYCPARTYMASTERS@AOL.COM. You can also call us right now at (718) 207-4752. Q What makes Nyc Party Masters services worth your investment? A: Finding professional services that will listen to your ideas and offer suggestions based on their expertise is essential to planning and experiencing the event ever! Making your vision a reality is exactly what we specialize in. Your investment in Nyc Party Masters services will provide you with a fresh look supported by experience! As you look into different entertainment services, you will soon find that there are many options. If you are looking for services that are highly professional, energetic and polished, presented on a system that will compliment your efforts in providing a beautiful setting, then Nyc Party Masters is your answer. The investment that you make in Nyc Party Masters will be a reflection of expertise and quality. A: You’ll be amazed at how flexible we are when it comes to music selection! That’s because our experience has taught us that keeping the dance floor packed is influenced by many factors, including the order and style in which the songs are played, the way songs are mixed together, and DJ interaction. We’ve had clients that have chosen every song for the entire event and others that have left the music selection completely up to us. Our recommendation is to provide us with a list of “must play” songs and list of “play if possible” songs. This will leave plenty of room for requests from your guests and DJ selections. You love taking request from your guests – that’s completely up to you. We will accommodate requests that fit into your guidelines and the time that we have to play them. Most importantly, have fun and select music you want to hear and dance to. After all, it’s your event! A: Sometimes your “do not play” list is equally important or more important than the “request list” itself! A: Yes. Nyc Party Masters will gladly accept your credit card for your payments. We accept MasterCard, Visa, and American Express. In addition to credit cards, we accept checks and cash payments. A: Nyc Party Masters accepts gratuities and they are welcome if you are satisfied and we have exceeded your expectations with our services. Q: Will there be additional charges for set-up and breakdown? A: All DJ and Photobooths packages include set-up and break-down; there will be no surprise charges at the end of your reception! Ride packages depending on size of equipment and size of package. Q: Will you work with our wedding/ party coordinator? Q: We do not have a party/wedding coordinator will you work with our other party vendors? A: Yes, we will and we want to work with them! By coordinating all of the events from your arrival to your honeymoon send off, we’ll coordinate everything we do with all of your vendors. Q: Do you travel and work throughout the states? A: Yes. 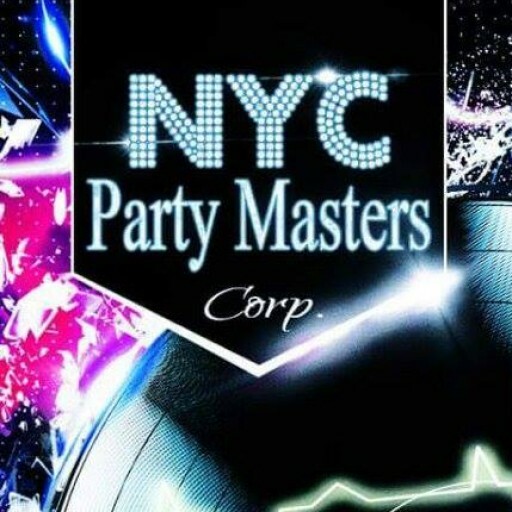 Nyc Party Masters works throughout the East Coast from New York to Virginia and all states between . Tell us where you are planning your event and we’ll be there!